The idea of establishing a business school at Vanderbilt was first broached in the late 1800s. Decades later, a dauntless group of university trustees took up the mantle to get the school approved. Owen’s story includes a Carnegie report, a cocktail-party caucus and decades of dogged dedication. This is the first in a series of articles leading up to the 50th anniversary of the opening of Vanderbilt’s Owen Graduate School of Management in 1969. 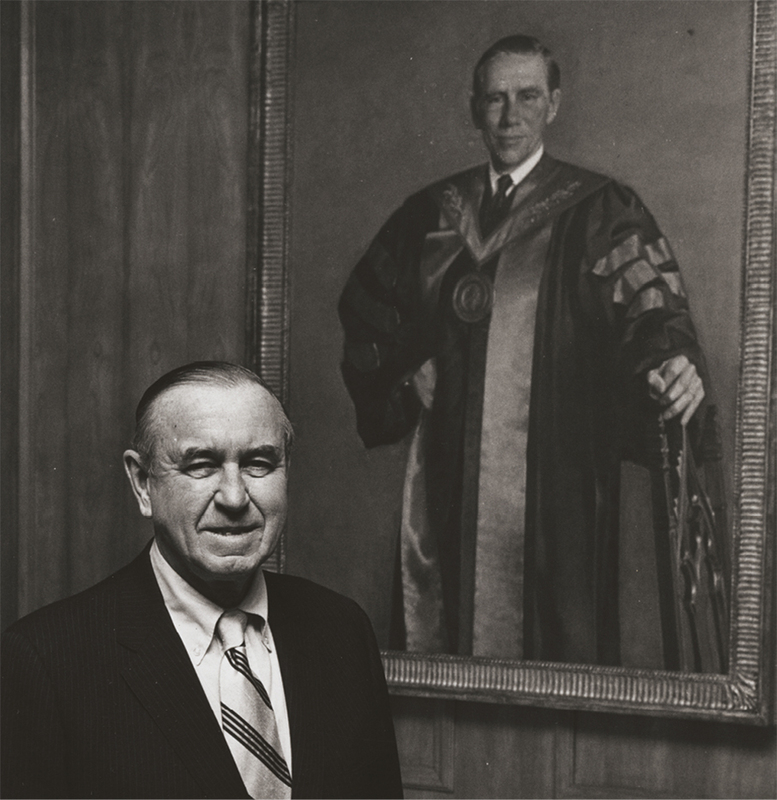 Fifty years ago, in May 1967, Chancellor Alexander Heard acquiesced to a group of trustees who for years had been pushing Vanderbilt to establish a “first-class” graduate school of business. “The University will be taking a calculated risk, based on interest that has been shown in the School, and will be agreeing to use funds, if necessary, that would be otherwise available for the existing budgets of the University,” Heard warned the Board of Trust just before it voted to approve the measure. Despite Heard’s cautionary nod of assent, the board’s action marked the first real steps Vanderbilt took in launching what ultimately became the Owen Graduate School of Management. It also capped an internal discussion at the university that had stretched as far back as 1881. That was the year the University of Pennsylvania opened its Wharton School of Finance and Economics, sending a ripple of interest in business education throughout American universities, including Vanderbilt. Yet, an early proposal to open a “Commercial College Department” at Vanderbilt failed to gain traction. The question languished until the late 1950s, when a postwar economic boom once again prompted American universities to explore management programs. It was against this backdrop that Chancellor Harvie Branscomb formed a Board of Trust committee in 1957 to begin investigating whether Vanderbilt could sustain a business school and, if so, what it might look like in terms of curriculum, student population and staffing. The group consisted mainly of prominent Nashville businessmen and was chaired by Eldon Stevenson Jr., a 1914 Vanderbilt graduate who rose to become president of National Life & Accident Insurance Co. Other committee members included Sam Fleming, a 1928 graduate and president of Third National Bank (now part of SunTrust); O.H. “Hank” Ingram, founder of today’s Ingram Industries; Maxey Jarman, CEO of Genesco; and Justin “Jet” Potter, a 1919 alumnus of the College of Arts and Science and founder of Nashville Coal Co. Branscomb and Associate Professor David Steine, who taught in the business administration program, also sat on the committee. In addition to assessing the university’s undergraduate business major, which at the time resided in the economics department and was the most popular course of study on campus, the committee surveyed local and national business leaders, including “more than fifty corporation personnel officers who regularly recruit Vanderbilt graduates,” according to the minutes. Members also spoke with current students and Vanderbilt alumni who had majored in business administration within the previous decade. One of the most pressing questions, however, was informed by an ongoing study that had been commissioned by the Carnegie Corp. to examine the state of business education in the United States. 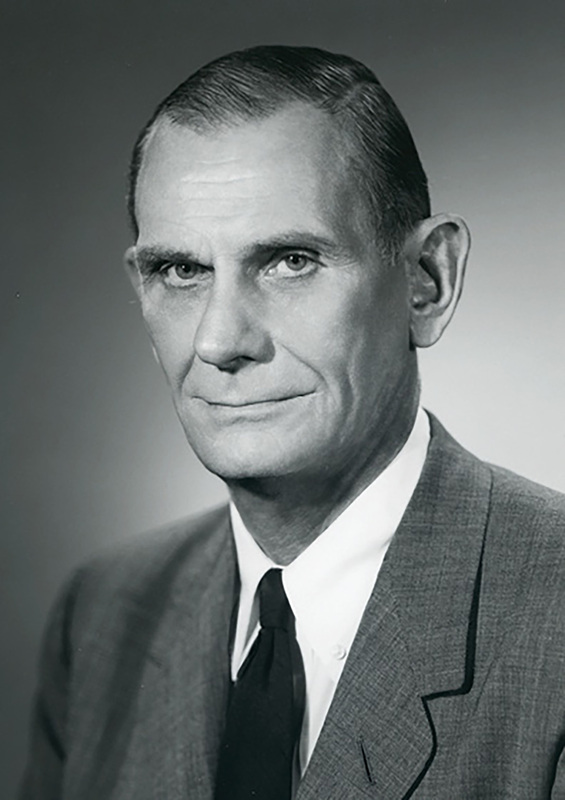 That watershed report, written by Swarthmore economics chairman Frank Pierson and eventually published in book form in 1959, sharply criticized American business schools for their low academic standards and urged the adoption of more theoretical, research-based curricula. In fact, one of the major concerns of the 1957 Vanderbilt committee was that any business education program not be too “vocational” in nature. 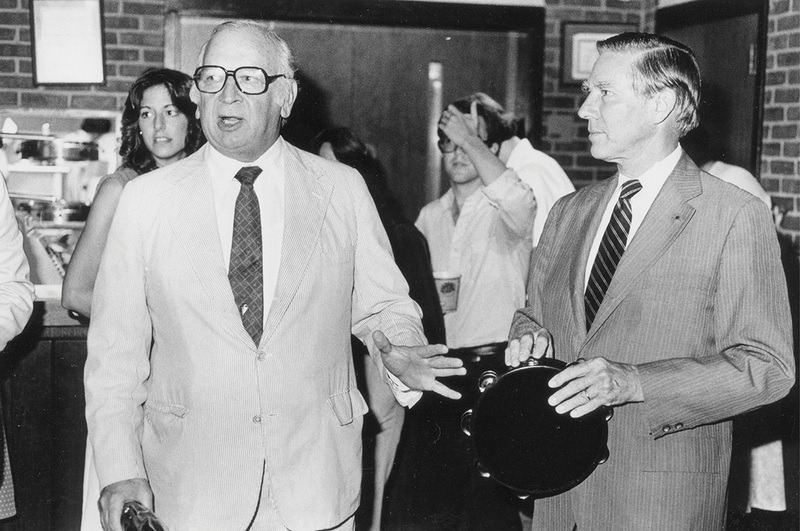 So while the desire was there, the seemingly innocuous phrase—“as rapidly as funds can be secured”—wound up becoming a major sticking point that slowed momentum for establishing a business school during the remainder of Branscomb’s leadership. Heard took the reins as chancellor in 1963 and was soon overseeing a major campus development plan and fundraising campaign on the one hand while coping with social upheaval and racial integration issues on the other. The idea of launching a new business school was crowded out by more pressing needs early in Heard’s tenure. A core group of trustees, however, was not quite ready to abandon the idea of a separate Vanderbilt business school or the work done by the 1957 committee. At a 1965 Board of Trust retreat in Hot Springs, Virginia, this group hatched a half-joking plan over cocktails to launch the school themselves, voluntarily serving as faculty members. According to a history of the Owen School commissioned by Dean Sam Richmond in the mid-1980s and written by the Nashville-born novelist Madison Smartt Bell, the plan went as follows: William Waller would chair Corporate Law, Ralph “Peck” Owen would oversee Finance, Madison “Matt” Wigginton would be in charge of Marketing and Merchandising, while Sam Fleming and Andrew Benedict would take on Banking. “Well, of course that was just strictly cocktail talk and never would get off the ground,” Wigginton recounted to Bell. But it did revive interest in pursuing a business school. This time around, though, the task had moved from exploring philosophical questions of curriculum design to figuring out how to gather the necessary funds to hire a dean, open a new building and absorb financial losses for the first several years of the school’s existence. Yet another Board of Trust committee was appointed to answer this question, and it determined that the university would need about $5 million to $7 million ($40 million to $55 million in today’s dollars). Heard and some other board members felt that was an unrealistically low estimate of the true costs. During the first day of Board of Trust meetings in the summer of 1965, Heard accepted the committee’s findings but recommended no action be taken. However, the next day other board members bristled at the short shrift given to discussion of the business school. Frank K. Houston, a 1904 Vanderbilt graduate and New York banker, lamented the “crying need” for a high-quality business school in the South. Wigginton and Waller spoke of the feasibility of starting a “small, but excellent” business school at Vanderbilt. During the next few months, plans for the business school began to grow more concrete, with trustees citing recent successes by the University of Virginia and Tulane University in launching programs, saying well-heeled alumni were inclined to support these new business schools. Heard, meanwhile, continued to parry these arguments, suggesting that a 1964 Fortune magazine article found that business schools did not augment university fundraising and that deans of other Vanderbilt schools may ultimately lose funds for years to come as the university kept a new business school afloat. At this point, Vanderbilt had reached a kind of chicken-and-egg stalemate. Positions hardened. Heard insisted that starting a business school would not be prudent until sufficient funds could be raised without cannibalizing other donations to the university. He wanted enough funding to open and operate a business school for at least five years that could compete with the likes of Harvard, Wharton and Dartmouth. Fleming and others suggested that the people who were in a position to provide the kind of funding Heard envisioned would not do so unless they could see a strong upfront commitment by the university, such as hiring a prominent business school dean and several core faculty members. Board of Trust member Sam Fleming poses with a portrait of Chancellor Alexander Heard. Finally, it was Fleming, Wigginton and David K. Wilson (a son-in-law of Justin Potter) who broke through the impasse. They met privately with Heard in the spring of 1966 and each promised to be responsible for raising $250,000 per year in the first few years of the business school’s existence. Heard, questioning the three businessmen on why a school was even necessary when they all succeeded just fine, finally gave in and agreed to support the effort. He also agreed to make the business school one of the signature items in a $55 million capital campaign that began in 1966 and was chaired by Fleming. Within a year the full Board of Trust was presented with a detailed proposal to start a new business school outlining the education objectives and a funding plan. 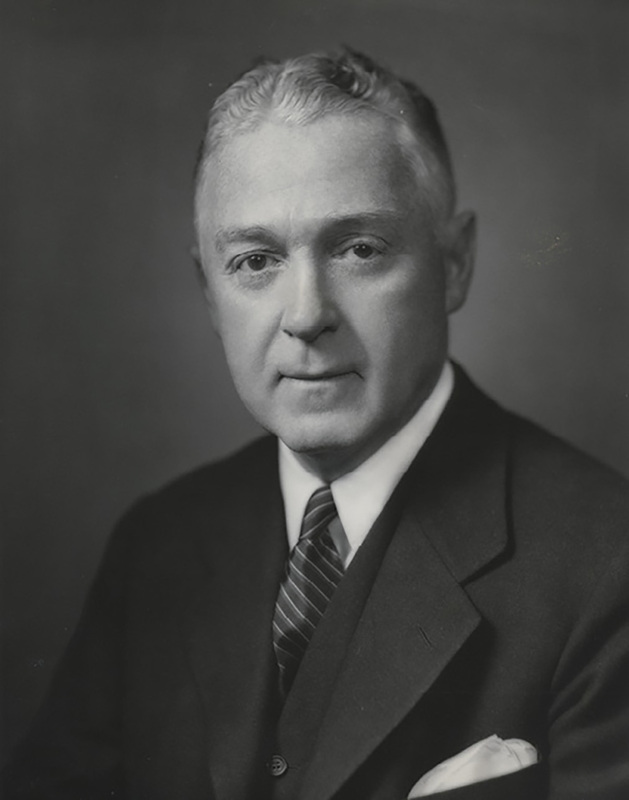 Trustee Robert L. Garner, a 1916 Vanderbilt graduate who became a vice president at the World Bank, abstained from voting, while Dr. Rudolph A. 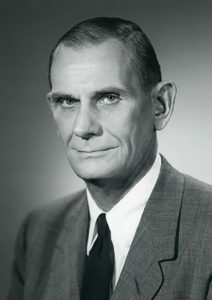 Light, graduate of Vanderbilt School of Medicine and a surgeon—Light Hall is his namesake—provided the single “no” vote. It was the otherwise unanimous board action, however, that set the wheels in motion for Vanderbilt to begin recruiting its first business school dean and establish the school’s two-year Master of Management (MMgt) degree, which led to today’s flagship Master of Business Administration (MBA) program. The school opened its doors in 1969 and graduated its first class in 1971. Russell Fleischer, MBA’91, advises on how he keeps companies moving forward: Think. Decide. Act.